The species is vulnerable (de Silva 2006), but no recent information is available. In 2014 a workshop was held to train more people in otter research and education/public awareness. This was held in the Sunderbans, the largest area of mangrove forest in the world, which also extends into India. Some small communities still use otters to help fish as the animals chase the fish into the nets. You can read the full report on the workshop here. Threats: Habitat destruction, illegal hunting, killed by fishermen. Borneo is actually divided into three countries: Indonesia, Malaysia and Brunei. So please see these countries for further information. Species: Asian Small-clawed, Smooth-coated and Hairy-nosed Otter? The Asian Small-clawed Otter is common, while the Smooth-coated and Hairy-nosed otters are rare (de Silva 2006). For a long time little was known about the otters in Cambodia and in 2009 a workshop was held to train more people in otter research and education/public awareness. You can read the full report on the workshop here. Since then much more information has been obtained and in 2016 a report was published on field studies carried out between 2006 and 2013. This confirmed that Hairy-nosed Otters were present in four regions: Tonle Sap Lake, Cardamom Mountains, Bassac Marsh and the coastal areas in Kohn Kong province. The report also shows that Hairy-nosed Otters and Smooth-coated Otters live in similar habitats in parts of their ranges. However, the former prefer areas sheltered by trees and vegetation whereas Smooth-coated Otters are more in open areas. Smooth-coated otters are also known from the Mekong river and its tributaries, including the Sre Pok River. Asian small-clawed Otters are recorded from the Virachey National Park and the surrounding area. Legal Protection: Eurasian and hairy-nosed otters protected by Forestry Law (2002). Asian small-clawed and smooth-coated not protected. Species: Asian Small-clawed, Smooth-coated and Eurasian Otter. Smooth-coated Otters are found in the southwest area of Yunnan province and the coastal area of Guandong. The Eurasian Otter is widespread with five sub-species. Asian Small-clawed Otters occur along the southern boundary of China. Legal Protection: All three species protected by Law of the People’s Republic of China on the Protection of Wildlife (1989) – Class II. Threats: Habitat destruction and illegal hunting have resulted in serious damage to the otter population. Otters used to be widespread in China except for a few provinces in arid zones but now they are hardly ever observed in the wild. Spraints or footprints can be occasionally observed in only a few provinces near streams, reservoirs or protected areas. Based on the China National Wetlands Survey completed in 2003, otters could only be detected in 12 provinces and 3 autonomous regions, and are rare in 9 of the 15 provinces and regions. In the Changbaishan Mountain nature reserve numbers of otters declined by 99% between 1975 and 2010. A Second National Wetlands Inventory was published in 2014 and this was more accurate than the first as it used standardised guidelines. When compared with the First Inventory, the data showed that the natural wetland had been reduced by 3,376,200 ha but the area of protected wetlands had risen to 5,259,400 ha including 25 Ramsar sites, 279 wetlands nature reserves and 468 wetland parks. The mammal survey in the Inventory focused on otters and was accompanied by interviews and literature reviews of the currently published papers. It did not record species of otter but it did show that otters are found in 24 provinces and autonomous regions. This apparent increase could be because of more protected wetlands and more legal enforcement of protection laws. Tibet is an autonomous region of China. Both the Eurasian otter (Lutra lutra) and Asian small-clawed otter (Aonyx cinereus) have been listed for Tibet in several authorities but all recorded otters in the plateau region are Eurasian, rather than Asian small-clawed. 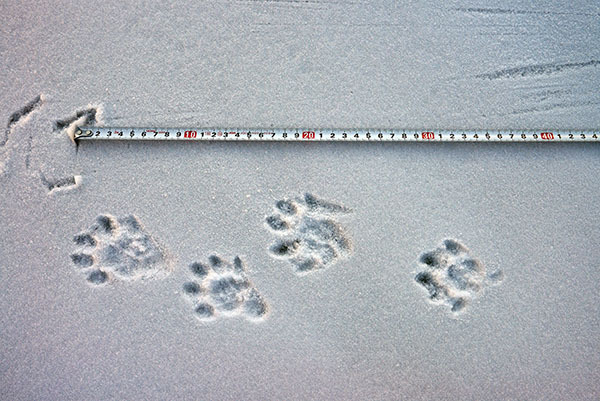 This photo of otter footprints was taken at Nyanpo Yutse of Qinghai Province by He Bing, of the Nyanpo Yutse Environment Protection Society. Hong Kong is a Special Administrative Region of China. Otters were thought to be extinct in the mid 1990s but they were spotted again in the Mai Po Nature Reserve in 1998. A PhD study of these otters was begun in 2016. In September 2016 a workshop was held at Zhuhai in southern China and you can read the full report on the workshop here. Species: Eurasian, Asian Small-clawed and Smooth-coated Otter. Legal Protection: All three species protected by The Indian Wildlife (Protection) Act 1972 – Schedule I & II. Threats: Habitat destruction, pollution and illegal hunting. Species: Eurasian, Asian Small-clawed, Smooth-coated and the Hairy-nosed Otter. Hairy-nosed otters were found in 2003 in Sumba fresh waters, especially the Melolo river. In 2005 this picture was taken of a Hairy Nosed otter road kill from Sumatra. Since then more Hairy-Nosed otters have been reported in Sumatra and Kalimantan. Otters are only found in the west of Indonesia and only on the islands of Borneo (Kalimantan), Java and Sumatra. As far as we know there are no otters on Bali. Recent data on the Eurasian otter in Indonesia is non-existent. During investigations into otters being traded as pets in north Sumatra it was reported that these were Eurasian otter cubs but the animals “disappeared” and so this could not be confirmed. You can read the full report on the workshop here. Legal Protection: Eurasian and hairy-nosed otters protected by Government Regulation No 5/1990 on Conservation of Natural Resources & the Ecosystem, Government Regulation No 7/1999 on Preservation of Flora & Fauna. Asian small-clawed and smooth-coated otters not protected. Threats: Pollution, habitat destruction, road mortality and taking from the wild as pets. At the beginning of 2013 at least 800 otter pet owners were known in the Jakarta alone. In March 2013 a workshop was held in Java to train people to do more otter research and education/public awareness. The government requested recommendations for further action and these were presented at the end of the workshop. These included legal protection for Asian small-clawed and smooth coated otters. An Indonesian Otter Network has been formed with their own Facebook page and pet owners are starting to think about giving up their otters for care at a proper sanctuary. The Eurasian Otter can be found in rivers and lakes in the Zagros, Elburz and Koppe-Dagh mountain range and in the Iranian Azarbaiejan. Otters are also found south of the Caspian Sea in the Golestan province. Smooth-coated otters are also present in the border region with Iraq. (Addy de Jongh 2015 personal communication). The Smooth- coated Otter may be present as it is common in Pakistan and Iraq. In 1997 furs harvested on the Iran and Iraq border were from Smooth-coated Otters. Threats: Pollution, habitat destruction and road mortality. Both Eurasian and smooth-coated otters are present in Iraq and became very rare after the Iraqi marshlands inundation in 2003. The subspecies Maxwell’s Otter (L. p. maxwelli), “Iraq smooth-coated otter” is endemic to the Iraqi marshes and was named after Gavin Maxwell, the author of Ring of Bright Water, who discovered the species. Maxwell’s Otter is a flagship species for the country. The numbers of both species decreased dramatically due to hunting, trapping, and habitat loss and destruction (i.e. marshland drainage). Adult otters are sometimes targeted by Marsh Arabs (hunters and local fishermen) in order to collect their fur, while their cubs are trapped to be raised as pets or trained to help anglers in fishing. Legal Protection: Iraqi legislation regulates hunting of both species under Iraqi wildlife protection law n. 17 issued in 2010. The protection of otters is an environmental responsibility that needs to be achieved at a national level by Iraq. In 2013 the government made an important first step for the achievement of this goal by signing the Convention on International Trade in Endangered Species of Wild Flora and Fauna (CITES). Hence, restrictions against the illegal commerce of live otters as well as of their parts (e.g., skins) are in force, as the European and smooth-coated otter are listed in Appendix I and II, respectively. Until the middle of the 20th century otters were abundant in Israel in all coastal rivers from the Lebanese border in the north to the Soreq river in the south as well as along the Jordan river including the Hula Lake and the sea of Galilee. Surveys in the 1990s found it had virtually gone from the coastal areas with healthy populations in the Jordan river catchments including Lake Tiberias and an estimate of the total Israel population is only about 100. In the Hula Valley and Jordan River highlands numbers were down by approximately 9% as compared with 2013. The Lake Kinneret basin and Jordan Valley sites showed a sharp drop of 18%. For the fourth consecutive year there were no otter signs in the Jezreel and Zevulun valleys. For the third consecutive year there were no otter signs in the Harod and Beit She’an valleys. 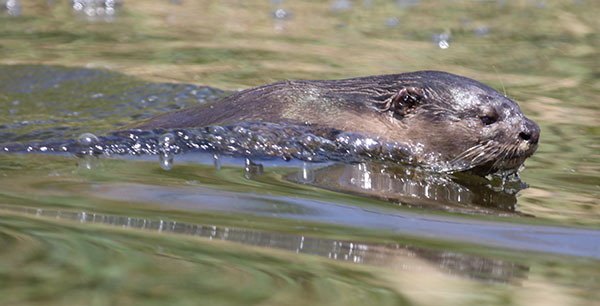 For the first time since 2000, there were no signs of otters in the Golan Heights. As a result otters are now defined as a Critically Endangered species in Israel and certain important conservation steps have been recommended: establishing a breeding nucleus to help populations to recover, restoring ecological corridors to connect otter communities, restoring abandoned bodies of water and wetland habitats. Species: Eurasian otter? The Japanese otter is believed to have been a subspecies of the Eurasian otter, but it is also possible that it was a separate species altogether. The Japanese otter was officially declared extinct in 2012, although it was actually believed to have died out in the 1990's with the last photo taken in the wild back in 1979. Otters used to be found throughout Japan but were largely wiped out through trapping for fur. They hung on in the Kochi and Ehime prefectures on islands with little hunting but finally appeared to die out, possibly as a result of habitat destruction. In 2014 the International Otter Survival Fund was invited to a workshop in Japan as part of a feasibility study into reintroducing otters to the Shiretoko National Park, a UNESCO World Heritage Site, in Hokkaido. This is part of a long-term reforestation project called the Shiretoko 100 Square Meter Movement, which began in 1977. The aim of the project is to restore forest growth and biodiversity, within a time frame of 100 to 200 years, and includes the possible reintroduction of the river otter (Lutra lutra). In August 2017, the Japanese Ministry announced that a video of an otter was taken in February 2017 on the island of Tsushima, in the Nagasaki prefecture, which is located between the Korean peninsula and Japan. The video was taken by Dr Izawa, from Ryukyu University, who was studying the Tsushima wildcat. DNA analysis of two faecal samples revealed that one of them is from a Eurasian otter and it is similar to the Korean population. However, it has not yet been confirmed, whether this is a remnant individual of the "Japanese otter" or an individual from Korea (August 2017). Jordan is at the south eastern border of the North African range of the Eurasian otter. There are not many permanent waterways in Jordan and in 2000 a field survey was carried out on the Rivers Yarmuk, Jordan and Zarka, where there were reports of otters. Signs were found on the Yarmuk and Jordan but nothing on the Zarka. Little further work has been done. Threats: Pollution and accidental deaths in fish traps. Legal Protection: All four species protected by Wildlife & Aquatic Law (2007). Species: Eurasian, Smooth-coated, Hairy-nosed and Asian Small-clawed Otter. Only Small-clawed and Smooth-coated are found in peninsula Malaysia, while in eastern Malaysia all four species exist. The Hairy-nosed Otter population occurs in peat swamp forest near Nenasi. In 2009 a research team working in Deramakot Forest Reserve, in the Malaysian state of Sabah, at the northern end of the island of Borneo, took a photo of a Hairy-nosed Otter with a camera trap. This was the first record in Sabah in more than a hundred years. Legal Protection: All four species protected by Wildlife Conservation Act (2010), Wild Life Protection Ordinance (1998), Wildlife Conservation Enactment (1997). But the Eurasian otter is not listed as a protected species in Sabah, and so is only protected in wildlife sanctuaries with other wildlife. Threats: Habitat destruction and pesticides. Legal Protection: Fully protected since 1930. Species: Asian Small-clawed, Smooth-coated and Eurasian Otter. (de Silva 2006) Hairy-nosed otters used to be present in northern Myanmar (formerly Burma) and there are reports that they may still be there but this has not yet been confirmed. The Smooth-coated Otter is widely distributed but no other information is available. Legal Protection: Eurasian, Asian small-clawed and smooth-coated otters protected by Protection of Wildlife & Wild Plants & Conservation of Natural Areas Law (1994) but not the hairy-nosed otter as it is not recognised as existing in the country. Otters have declined in Nepal with the status of the Asian Small-clawed unknown (de Silva 2006) The Eurasian Otter has been found in Begnas and the Rupa lakes and the West Seti basin (de Silva 2006) The Smooth-coated Otter occurs in the rivers Karnali, Mahakali, Koshi and Narayani rivers. Volume 28 of the IUCN Otter Specialists Group Bulletin gives an update on the distribution and threats to otters in Nepal. Legal Protection: Eurasian and smooth-coated otters protected by Aquatic Life Protection Act 1961, National Parks & Wildlife Conservation Act 1973. Asian small-clawed otters only protected in National Parks. Threats: Fishing conflicts, habitat destruction and disturbance. The Journal of Wetlands Ecology is a half-yearly online journal from the Wetland Friends of Nepal (WFN) dedicated to the exchange and dissemination of information related to wetland issues connecting wetlands, human and wildlife, including otters. There is a very active Nepal Otter Network carrying out research and education/public awareness. Please contact enquiries@otter.org if you wish to know more about this. Otters are protected in three reserves: Sinyang Otter Reserve, Daehung Otter Reserve and Popdong Otter Reserve. Otters also inhabit the upper reaches of all the major North Korean rivers. Species: Smooth-coated and Eurasian Otter. The Eurasian Otter is not common and occurs in the Northwest Frontier Province. The Smooth-coated Otter is more common and can be found again in the Northwest Frontier Province. Good areas for the Smooth coated otter are Haleji, Hadero, kennjhar lake bufferzone, Zangi Nawar Lake,Ucchali, Khabbika, Jalar lake bufferzone,The Sind and Mekran coast, Indus Delta and River system and Rawal Lake. (de Silva 2006). An update on the situation in Pakistan was published in the IUCN Otter Specialists Group Bulletin in 2010 - Otter Conservation In Pakistan Pages 89 - 92 by Waseem Ahmad Khan and Hussain Bux Bhagat. The Pakistan Wildlife Foundation was founded by Waseem Khan after attending the Cambodian Otter Workshop in 2007. Legal Protection: Both species are fully protected. Threats: Overhunting and damming of rivers. Occurs in estuaries, tidal areas and rivers in Palawan, the western island province of the Philippines. 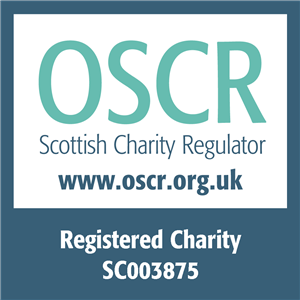 Legal Protection: Protected by Wildlife Resources Conservation & Protect Act RA9147 (2001). Threats: Loss of habitat due to logging and mining. Single Asian Small-clawed family lives on Pulau Tekong Besar, an island north east of the main island. The Sungei Buloh Wetland Reserve, at the northern edge of the country, is also part of the East Asian Migratory Flyway in which countless birds migrate each year from Siberia and China to Australia and New Zealand, and back again, it is the home for a family of Smooth coated otters. Smooth-coated otters are now regularly seen in Singapore and in 2016 there were reported to be 50 otters in the country. There are families in Bishan, Tanah Merah, Serangoon and Pulau Ubin and the Bishan 10 family were chosen to represent the country’s 51st year. However there are some problems in Sentosa where they are taking fish out of ponds in residential homes or luxury hotels. An Otter Working Group has been set up to look into these issues and includes representatives from the Agri-Food and Veterinary Authority, National Parks Board, Animal Concerns Research and Education Society, National University of Singapore, Wildlife Reserves Singapore and OtterWatch. Legal Protection: Both species protected by Wild Animals & Birds Act (1965). Threats: Disturbance of waterways and mining activity. Legal Protection: Protected by Protection of Wild Fauna & Flora Act (2004). Threats: Pesticide pollution and hydro-electric dams. Found on the river Euphrates but numbers have dropped over the last 40 years following construction of the Tabagua dam. Threats: Hunting and dam construction. Reported in 1998 on Kinmen and Little Kinmen islands, Taiwan. Legal Protection: Protected by Wildlife Conservation Law (1989). Species: Eurasian, Asian Small-clawed, Smooth-coated and Hairy-nosed Otter. 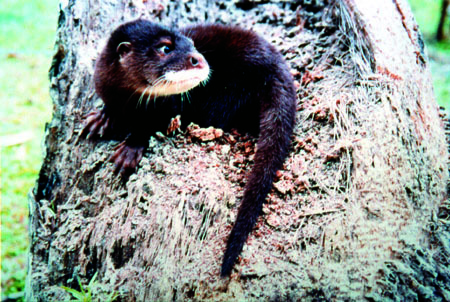 The Smooth-coated Otter occurs in western and southern areas and is common in the Mekong delta. Legal Protection: All four species protected by Wild Animals Preservation & Protection Act (1992). Threats: Habitat destruction, illegal killing, pollution to waterways. 2001 - First pictures of Hairy-nosed Otter in Thailand. Otters occur throughout the country in a variety of habitats, but all four species are threatened and need urgent conservation measures. The Kien Giang biosphere reserve is included in the list of biospheres by the United Nations Education, Scientific and Cultural Organization (UNESCO). This 1.1 million hectare reserve consists of three core areas: U Minh Thuong National Park, Phu Quoc National Park, and Kien Luong–Kien Hai protected coastal forest. It has a varied ecology comprising tropical rainforests, Melaleuca forests, salt-marsh forests, submerged forests, savanna, coral reefs, and seagrass. It is also home to various endangered species, including the hairy-nosed otter (Lutra sumatrana). Legal Protection: All four species protected by Decree No 32/2006/ND-CP, Decree No 59/2005/ND-CP, Decree 157/2013/ND-CP. Threats: Habitat destruction due to Vietnam war - even now there are still effects from the use of Agent Orange. Illegal killing by fishermen, pollution to waterways.